Product prices and availability are accurate as of 2019-04-14 20:29:03 UTC and are subject to change. Any price and availability information displayed on http://www.amazon.com/ at the time of purchase will apply to the purchase of this product. 100 sheets of tissue paper measuring 15 inches x 20 inches - ships folded. Create your own pinatas, tissue flowers , decorations and more! Use this tissue as gift wrapping, invitations , cards , weddings , and many more uses. 4 rows of 25 sheets each. 100 sheets per package Soft Folded. Each sheet is 15" x 20". 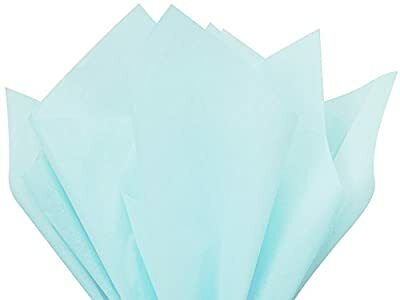 Premium commercial quality tissue paper. Great for decorating weddings, gift boxes, gift baskets & bags, smaller gift packaging, making 12-14" medium tissue pom pom flowers and craft projects! For the best quality, service & Gift ideas be sure to buy and visit us at Line Supplies.